A Small Texas Town Mourns An Enormous Loss, In Photos : The Two-Way After a gunman shattered the calm of a Sunday morning church service, residents gathered outside the Sutherland Springs Post Office to light candles, remember those lost and pray for the survivors. Residents of Sutherland Springs, Texas, gathered at the town's post office for a vigil on Sunday night. 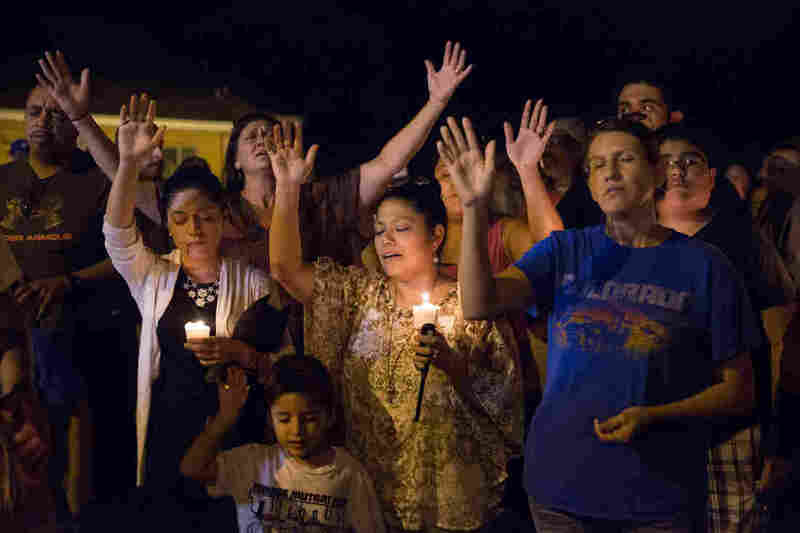 Sutherland Springs is a small South Texas town, about 45 minutes southeast of San Antonio. On Sunday morning, some of its residents went to services at the First Baptist Church downtown. Then a gunman shattered the calm of the morning. 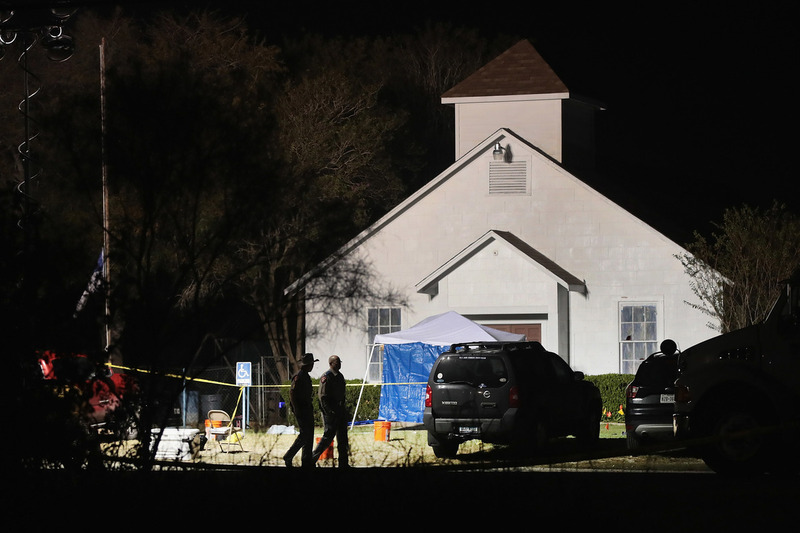 Devin Patrick Kelley, a 26-year-old from New Braunfels, a city 35 miles north, arrived dressed in black, wearing body armor and firing an assault-style rifle. He shot at the church building itself. And then he went inside and fired on the worshippers. He killed at least 26 people and wounded some 20 others. 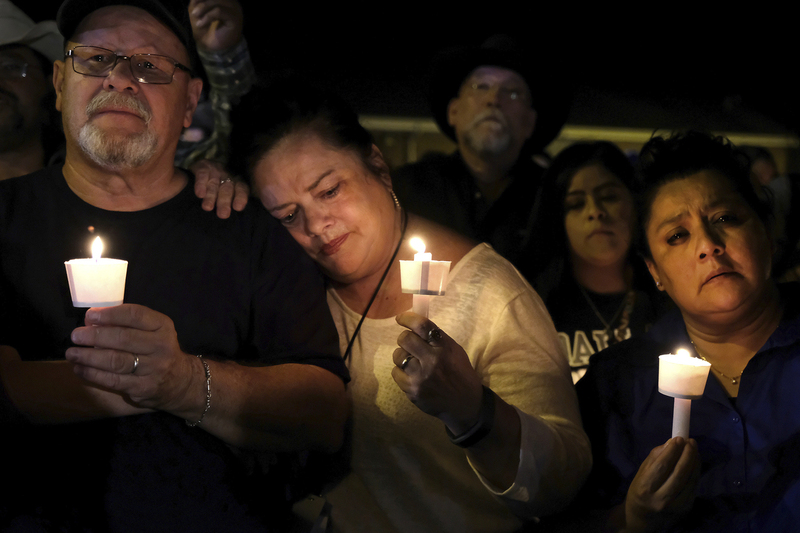 As evening fell, residents gathered at the Sutherland Springs Post Office on U.S. Highway 87 to light candles, grieve, remember those who were lost and to pray for the survivors. 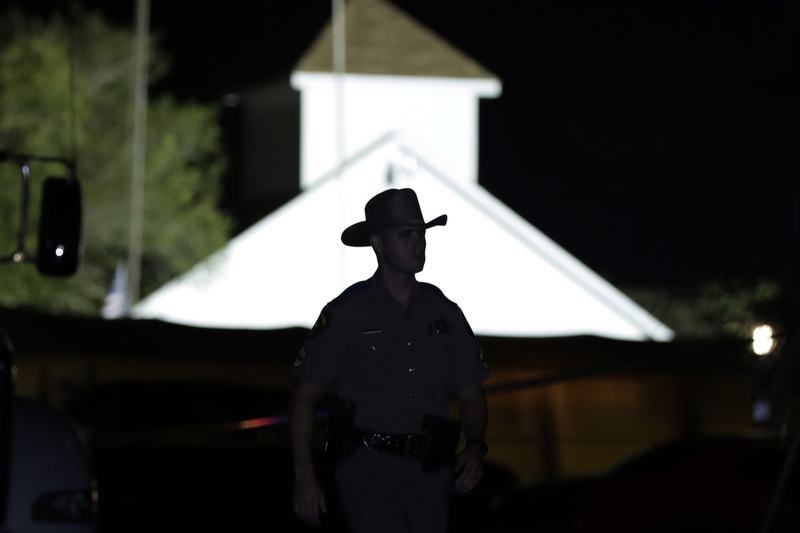 A law enforcement officer stands in front of the First Baptist Church of Sutherland Springs, where a gunman killed 26 people on Sunday. Investigators continued to assess the scene at the church early Monday morning. 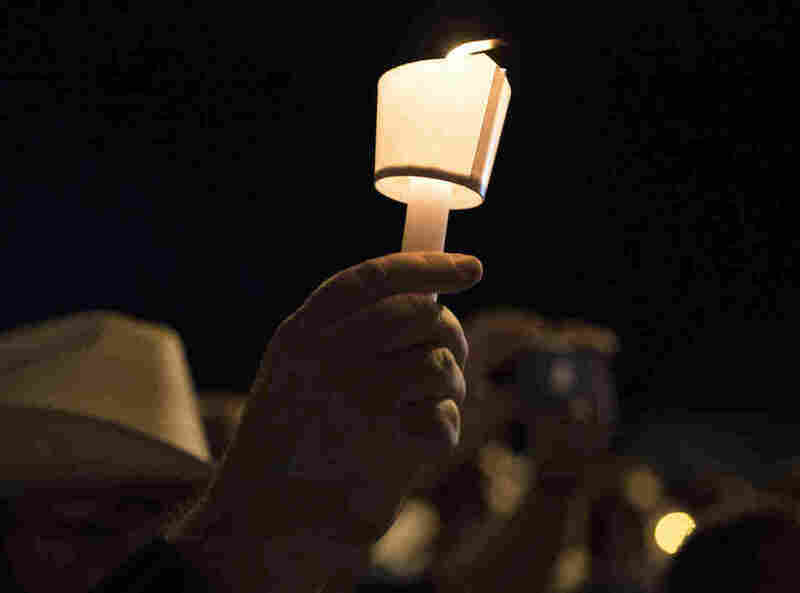 A mourner holds a candle for those killed on Sunday. Some were members of the same families, and ranged in age from only 18 months to 77. Texas Gov. 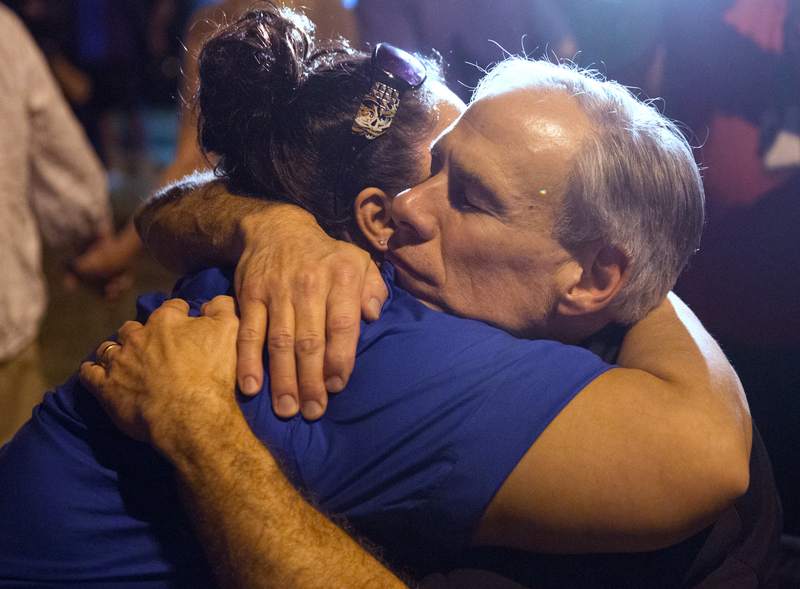 Greg Abbott comforted a local resident during the candlelight vigil. Sutherland Springs is tight-knit community of fewer than 1,000 people. On Sunday, its residents came together to confront their devastating loss.